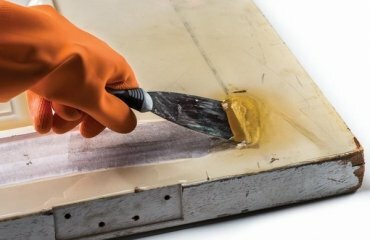 How to choose freshwater aquascaping fish species? This is a question that every beginner in aquascaping asks and we shall give you a list of the most popular species suitable for your aquarium. As you know, the main idea of aquascapes is to create an artificial world with the help of only natural elements – stones, aquatic plants and of course, fish. 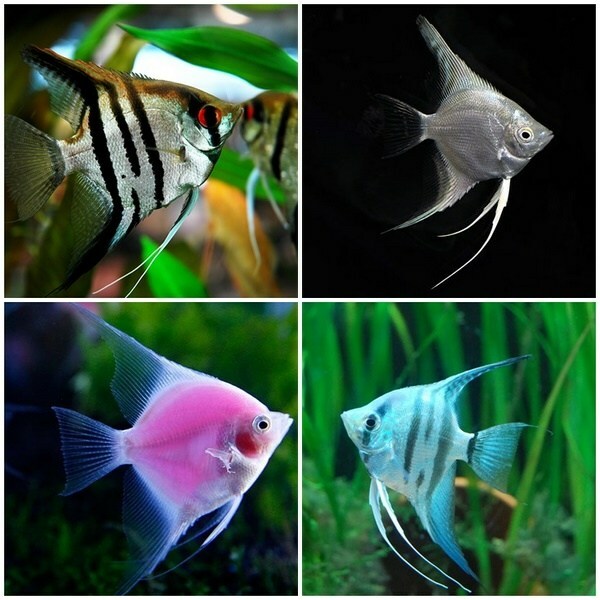 Fish in these aquariums are not a must but they significantly add to the overall impression. 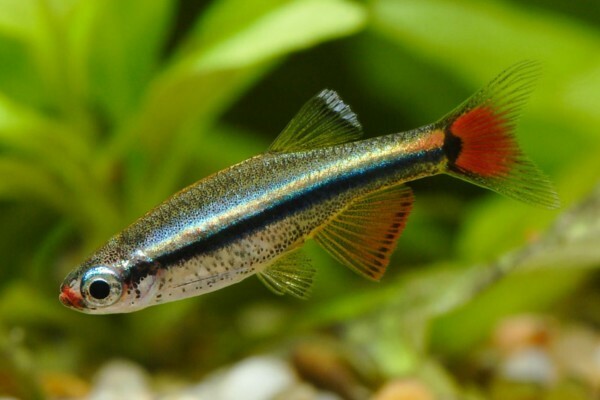 Usually, this is a group of medium-sized schooling species, such as neon tetra (Paracheirodon innesi) or similar. 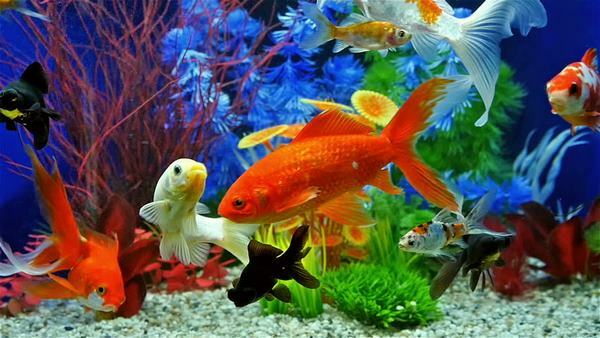 Some aquarium fish species can be dangerous to plants so you need to know how plants and fish can live in symbiosis. Healthy plants provide shelter, food, territory, and also help to create more favorable conditions for fish in the aquarium, including in terms of water quality and aesthetics. 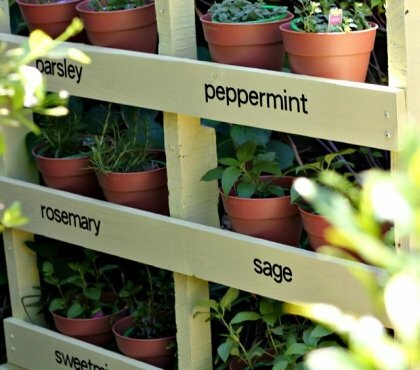 Many fish are also useful for plants, removing debris and cleaning their leaves. A competent selection of plants and fish will be beneficial for both and will give the aquarium a lively and interesting look. Speaking about aquascape, it is important to note that the design of a natural aquarium requires a lot of knowledge and experience. It is even more difficult to maintain such an aquarium so beginners should start with a small aquascaping project. 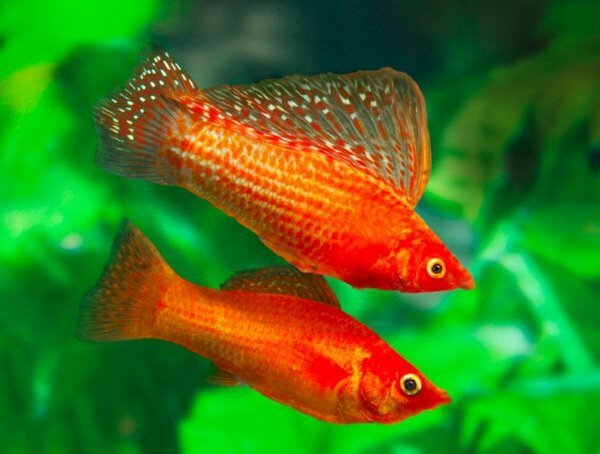 Which fish species are suitable for beginners in aquascaping? Many beginners do not understand that each fish is different and you need to know their needs, habitat and food requirements, etc. Yes, you could get a variety of species, let them into the aquarium and feed them but it is very likely that the fish will not feel comfortable and you risk them to die. 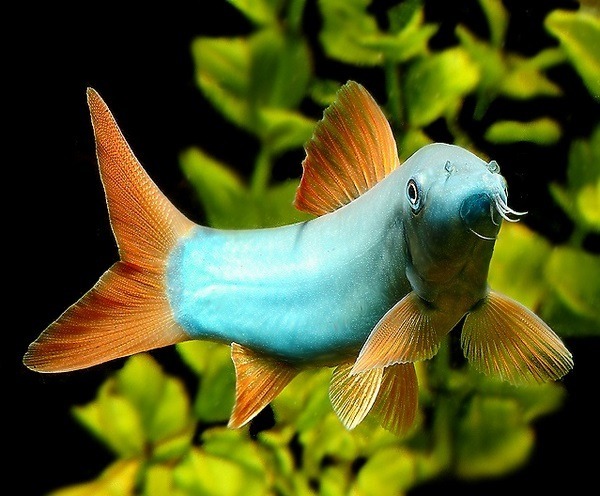 Freshwater aquarium fish meet some requirements, especially when you are a beginner. On the first place, you need hardy fish species that can survive changing water parameters and even if you made a mistake on plants, light and CO2, the fish will be able to survive. Beginner friendly fish species should be easy to care for and it is advisable that you do not start with fish that needs constant care. Peaceful fish species are more than suitable for beginners. This means that they will live with other species and will not attack them. The size of the fish is also important. 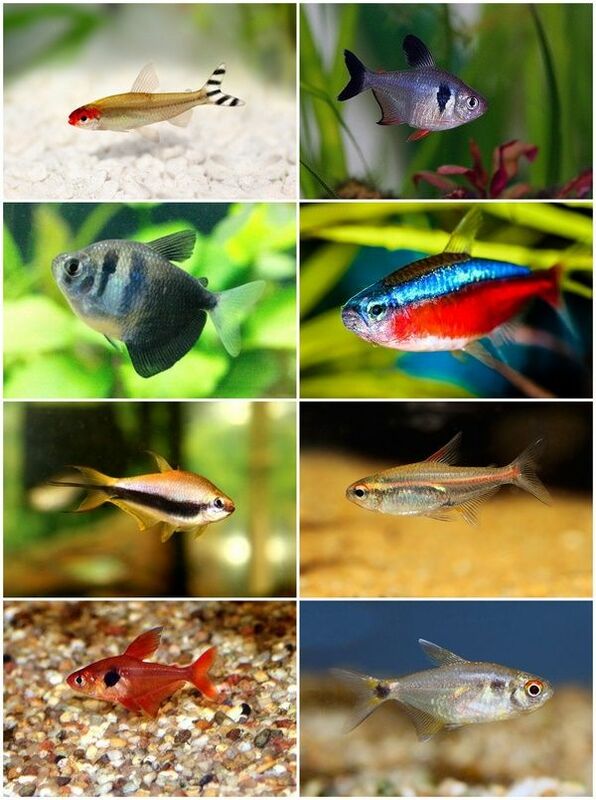 Choose small sized fish species, especially if your first aquascape project is in a small tank. Aquascaping fish species feature different groups and depending on the size of your aquarium, the type of plants, hardscape, etc. you can choose from different species. Obviously, the fish should be of the right size, to be compatible with the plants, etc. There is a general rule that small fish makes the aquarium look bigger while larger species are not a very good choice. We shall look at the different groups of species suitable for aquariums so that you can plan the design of your aquascape and choose the best plants and fish. Fresh water aquarium algae eaters come in a variety of species. Large leaves of aquatic plants are the ideal surfaces on which algae can grow and if not removed this may interfere with photosynthesis. Obviously, removing algae by hand is difficult and may damage the leaves so algae eating fish will help you solve the problem. 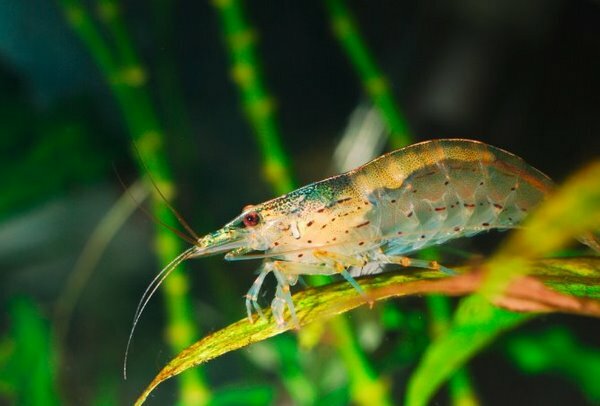 Some fish species prefer a certain type of algae and you can mix different species, including shrimps, to make sure that algae growth will be controlled. 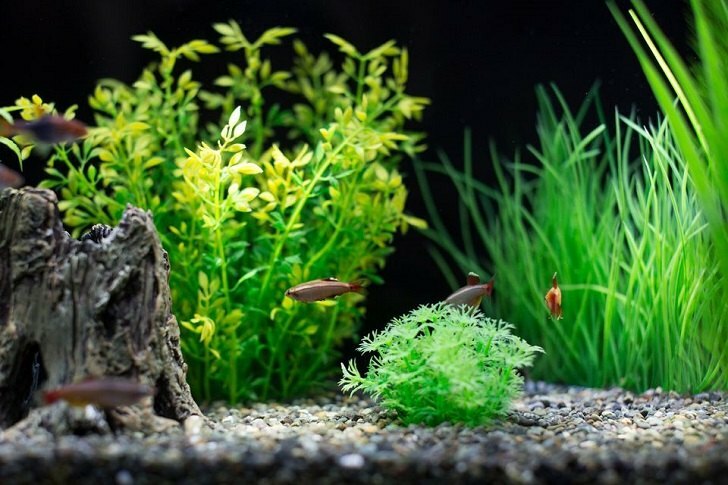 In a planted aquarium it is important to use only small fish as many algae eaters become pretty large and the damage they cause to plants outweighs their useful role in controlling the growth of algae. The Amano shrimp is a one of the most popular aquarium algae eaters. In addition these shrimps will eat dead plant material and leftover food. 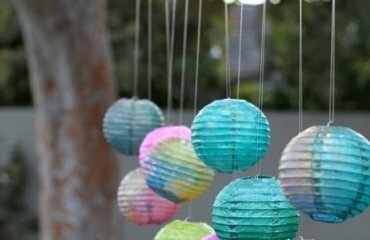 Their small size – 3,5 to 5 centimeters – makes them ideal for small aquascape designs. 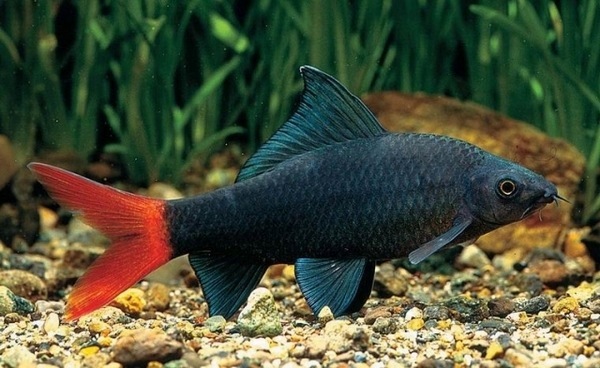 Red tailed black shark (Epalzeorhynchus bicolor) is another popular species. This attractive, lively, and strikingly colored fish eats a lot of algae, but you should keep in mind that it can grow quite large. Yucatan molly (Poecilia velifera) is a beautiful fish who likes places with many algae as they are a part of her diet. This fish will take an active part and will be very useful in the destruction of algae in a planted aquarium. 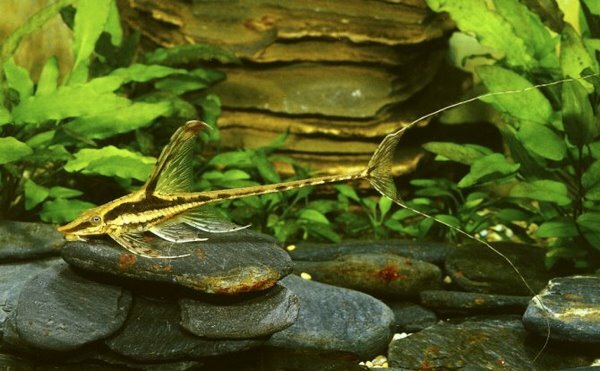 The Twig Catfish, also popular as Whiptail Catfish, is an algae-eating species which looks very delicate and reach 10 to 20 centimeters in length. They would eat most types of algae but you should be careful as Whiptail Catfish can be attacked by Cichlids and Barbs. Bristlenose Pleco (Ancistrus dolichopterus) is one of the most popular tank fish species and an especially good choice for beginners in aquascaping. They reach 10 to 15 centimeters in length and need a lot of green food. This fish is called a “tank cleaner” and is easy to care. Keep in mind that it needs rock shelters and dark substrate on the bottom of the tank as it eats at night and needs a shelter for safety. Albino Bristlenose Pleco is another species in the family Loricariidae which is a good choice for your first aquascape. 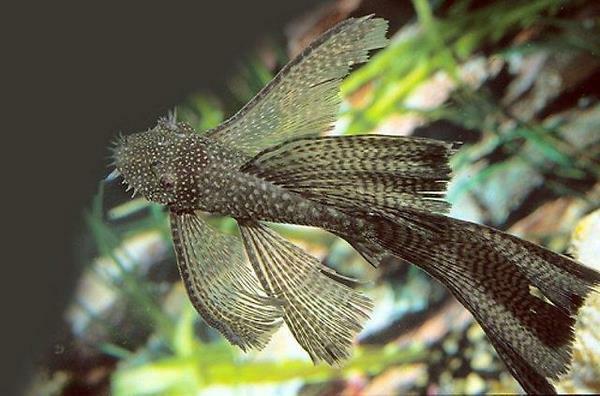 Siamese Algae Eater, also popular as SAE, Crossocheilus Siamensis, Siamese Flying Fox, Siamese Fox, is often referred to as the ultimate algae eater. 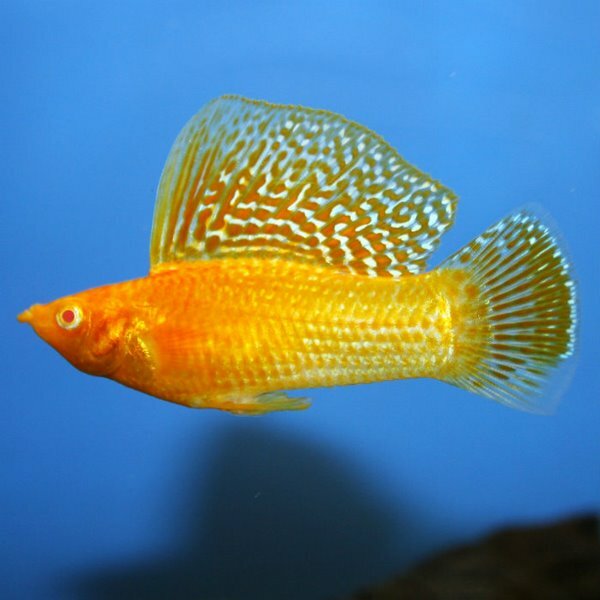 This is a very active, jumping fish, with a peace-loving character and reaches up to 14 centimeters in length. Siamese Algae Eaters have an enormous appetite and would eat any type of algae, even those that other fish ignore and you need to make sure that they have enough living plants as well as a lot of room. One important consideration is that you need to keep the lid on the aquarium since these fish are able to easily jump out of the tank. Floating plants are as useful as aesthetically pleasing. The fish inhabiting the top level of an aquarium, such find shelter in the floating plants and their roots. A properly planted aquarium with floating plants provides an ideal environment in which many species can reproduce. Common Hatchetfish (Gasteropelecus sternicla), also known as Silver Hatchetfish or River Hatchetfish, is an unusually shaped fish and its body looks like the head of a hatchet which gives the species its common name “hatchetfish.” They will eat fresh and flake food as long as it is on the surface of the water. 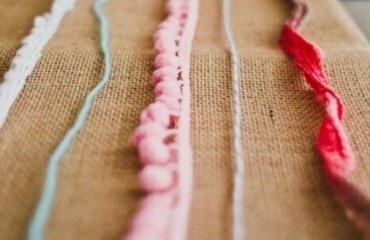 They must to be kept in a school of minimum six but eight (or more) is recommended. This fish is likely to jump out, so the tank lid should be kept on. Dwarf Gourami (Trichogaster lalius) is a beautiful small labyrinthine fish. The shape of the body resembles an ellipse. 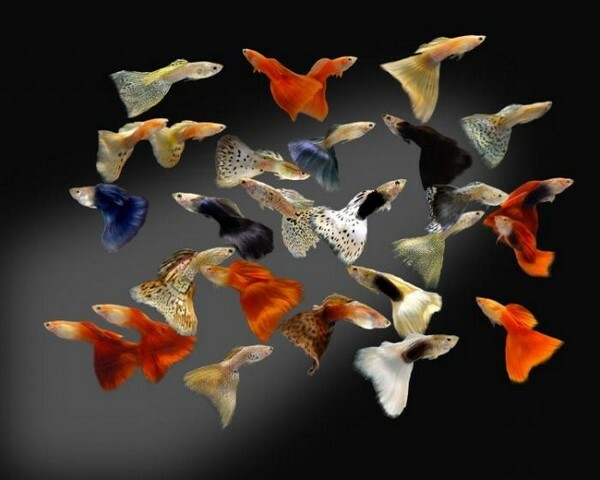 There are a large number of color variations, derived from selection. 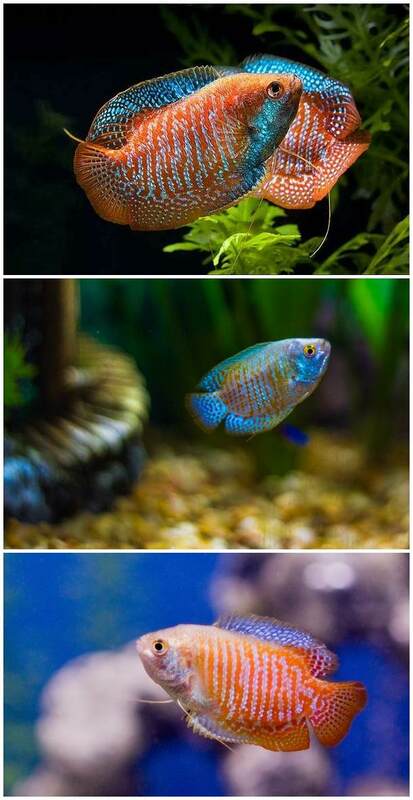 One of the most spectacular ones is the flame red gourami. 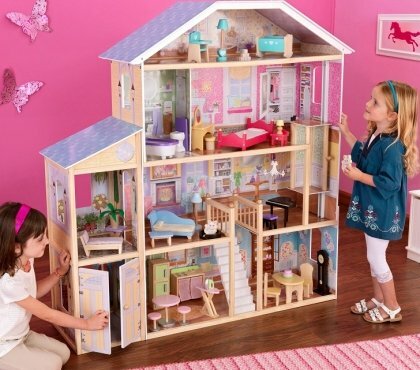 They are not picky eater and would eat almost any food – flake, freeze dried and live foods. 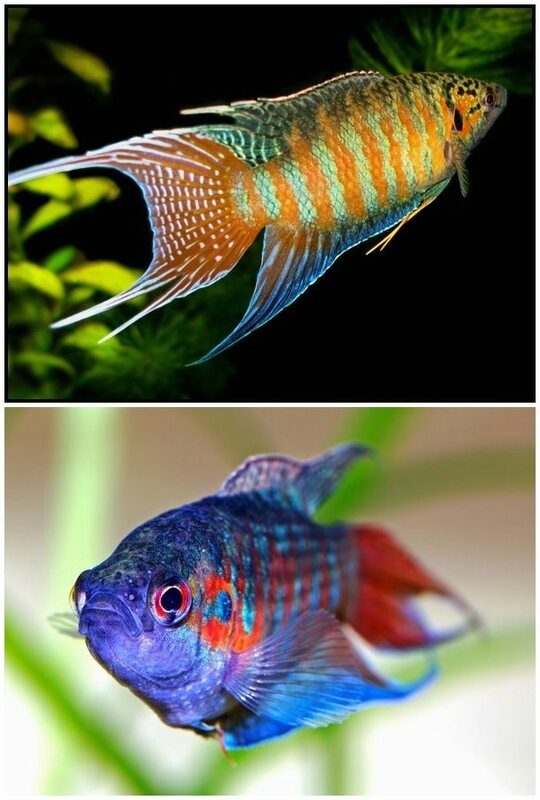 Dwarf Gourami are a good choice for beginners. Paradise fish (Macropodus opercularis) are very beautiful and intelligent. 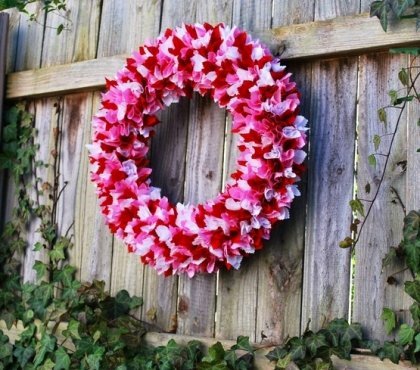 They are available in different colors like blue, red and albino. Keep in mind that two male in one place sometimes fight to death. These fish enjoy a lot of living floating plants. 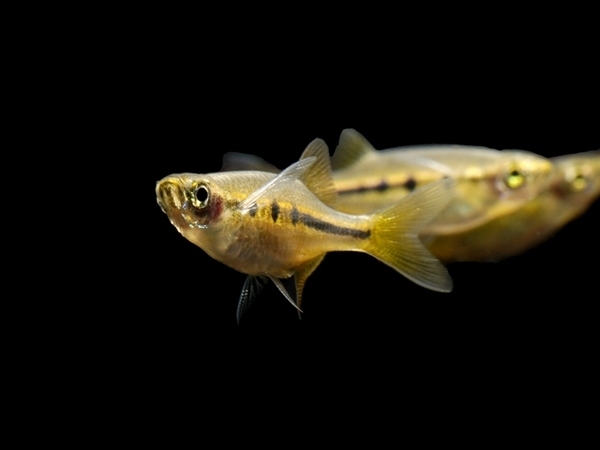 Guppies come in different varieties – Poecilia reticulata, also known as millionfish and rainbow fish, Poecilia sphenops (Black molly) and are widely popular as you can keep them in a small sized aquarium. 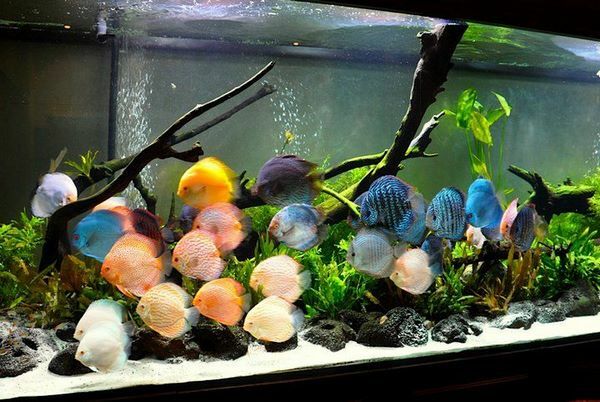 They come in bright colors which makes them a beautiful addition to aquascapes. 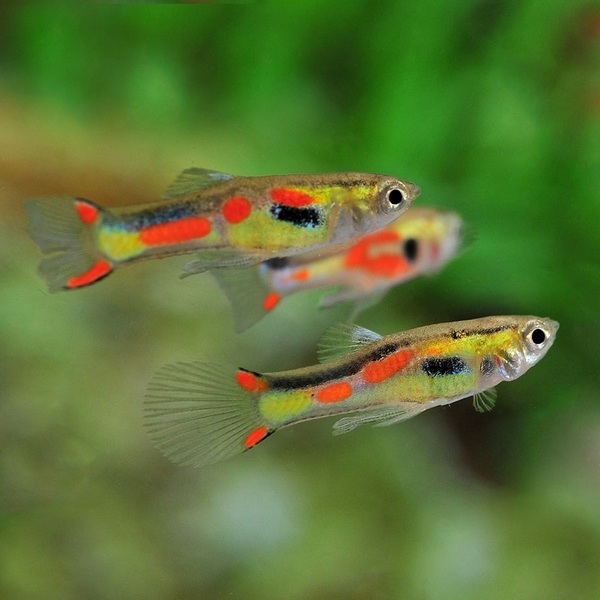 Guppies are easy to care and would eat flake food, live or frozen plants and will always eat or search for food, even if they do not need it which means that they can be easily overfed. White cloud fish (mountain minnow, Tanichthys albonubes) is a small, colorful fish which feels best at top and middle levels of water tanks. 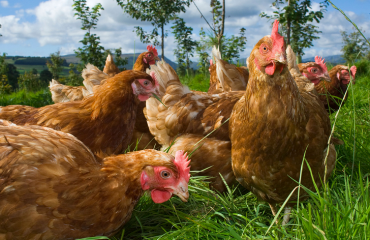 They tolerates cold temperatures and prefer lo live is schools. White cloud will grow to a length of 4 cm and will eat most foods. 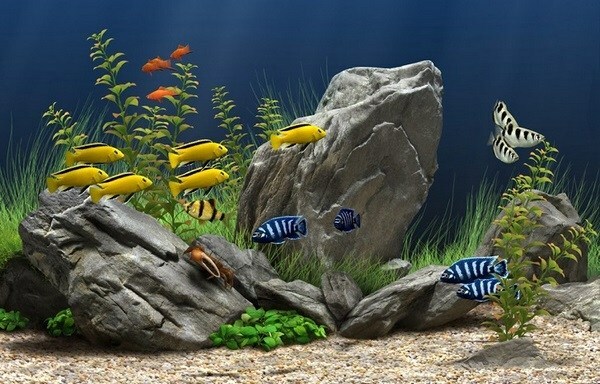 One of the main rules in aquascaping is the rule of thirds and the middle level is, usually, the focal point of the aquarium. This is the area that attracts the attention and should be most carefully planned as it should be populated with the right fish species as well as plants. Schooling fishes are the best choice for the middle level. 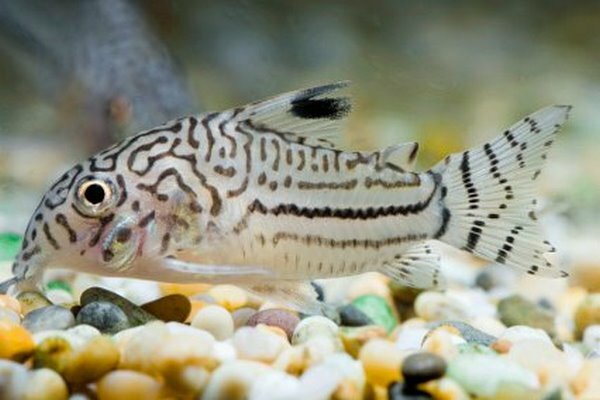 Corydoras Catfish comes in many species – Bandit Cory (Corydoras metae), Bronze Cory, also known as Green cory (Corydoras aeneus), Julii Cory (Corydoras julii), Panda Cory catfish (Corydoras panda), Pepper Cory, popular as Blue Leopard (Corydoras paleatus), etc., and each species has its own color and pattern. These are one of the most peaceful tank fish and it is best if you group them – at least three or more. The barbels on their lips help them locate food in the gravel or substrate and it is best if you chose sand for the bottom of the tank if you plan to have any of these fish. Make sure that you add sinking food in addition to floating foods which your Cory cats will be able to find on the bottom. Loaches are another bottom dwelling fish and despite the fact that cat fish species are more popular, this type is a good alternative. Loaches are nocturnal which you need to keep in mind as they would need to be fed at night. 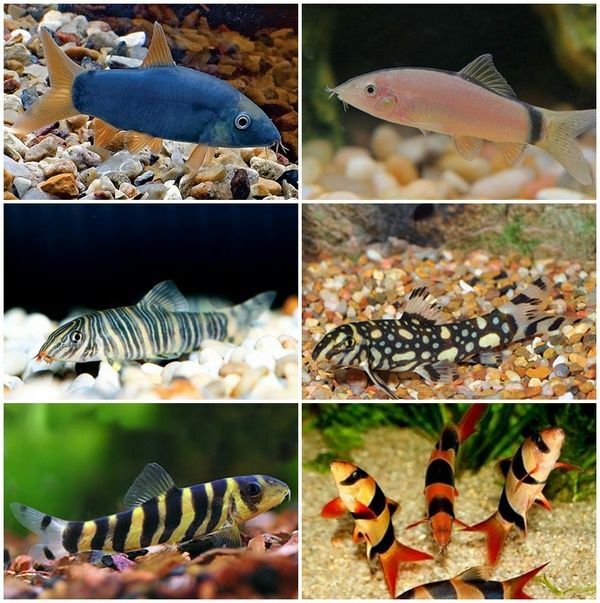 Loaches come in many varieties but we shall look at some of the most popular freshwater aquarium species. Feed Loaches with shrimp pellets, algae discs, brine shrimp, etc. 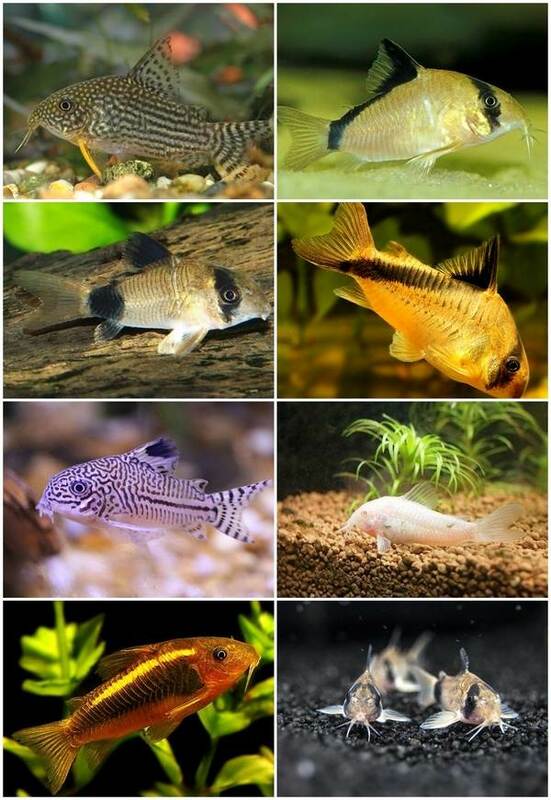 Popular species are Yoyo loach (Botia almorhae), Dwarf chain loach (Yasuhikotakia sidthimunki), Zebra loach (Botia striata), Polka dot loach (Botia kubotai), etc. Blue Botia Loach (Yasuhikotakia modesta) has a beautiful blue color varying from light to smoky blue shades and yellowish for the females. Like most bottom dwellers, Botia needs hiding places – caves, wood logs or clay pots – so you need the relevant hardscape in the design of your aquarium. Another consideration is that Botias can reach a length of 20 centimeters, so they will need a lot of place and mature fish is not a good idea for small sized aquariums. 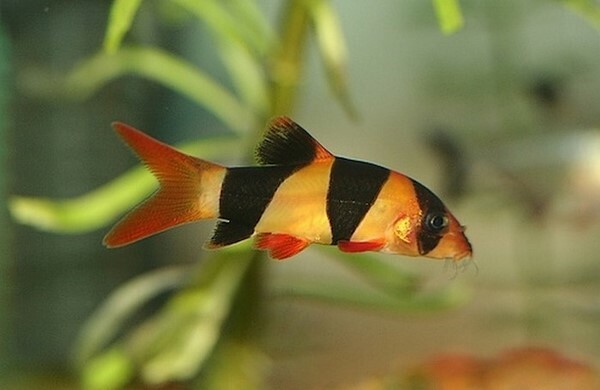 Clown loach (also tiger botia), (Chromobotia macracanthus) look charming and add color to the bottom level of the tank. They may eat the leaves of your aquatic plants so make sure you feed them correctly. Besides fresh and frozen food, they will eat fresh fruit and vegetables like melon, cucumber, courgette, etc. Crayfish can be a very interesting addition to your aquarium, although technically, this is not fish. 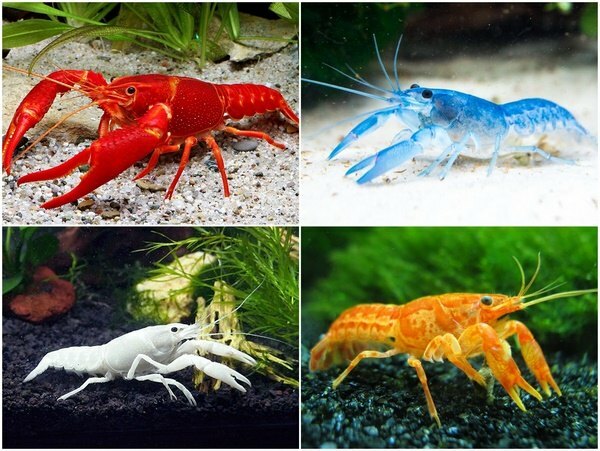 They come in different colors and the blue crayfish is one of the most popular choices. 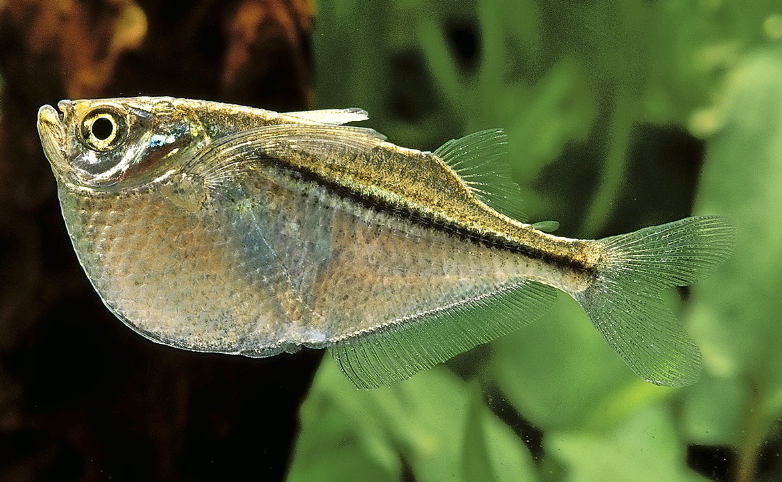 In general, they prefer to reside in crevices and have an aggressive character and may attack other fish in the tank. When you want to have any crayfish, it is best to choose larger sized species that are too big to be eaten or fish dwelling the top tank level – hatchetfish, bettas, mosquitofish, etc. 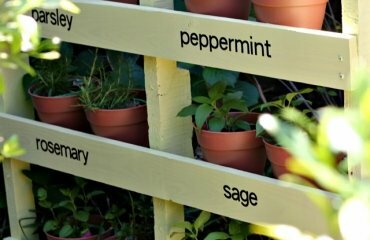 As we have mentioned several times, experts advise that beginners should start with a small tank and develop their skills with time. Nano aquariums can be the ideal aquascaping project which will not require too much space, efforts and maintenance. Finding the right fish for a small aquarium can be a challenge but we shall give you some ideas for desktop size tanks. 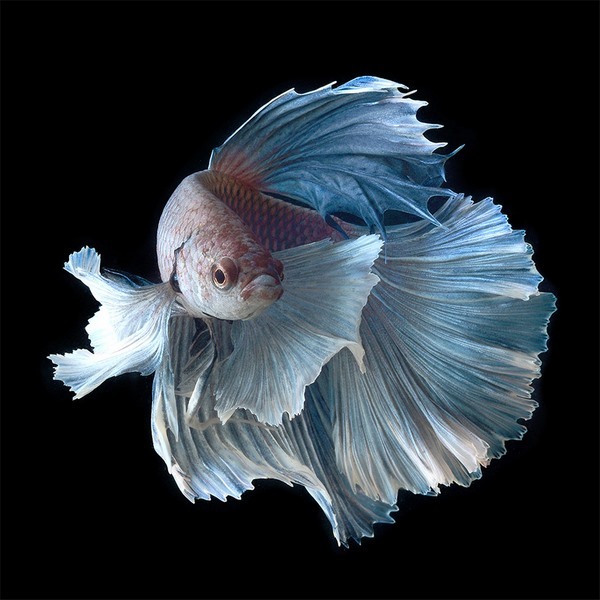 Betta Fish (Betta Splendens), more popular as Siamese fighting fish are amazingly beautiful and can be found in a huge variety of colors, patterns, and fin types. 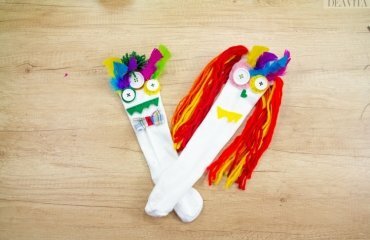 They reach a length of 8 cm, and are very easy to care. 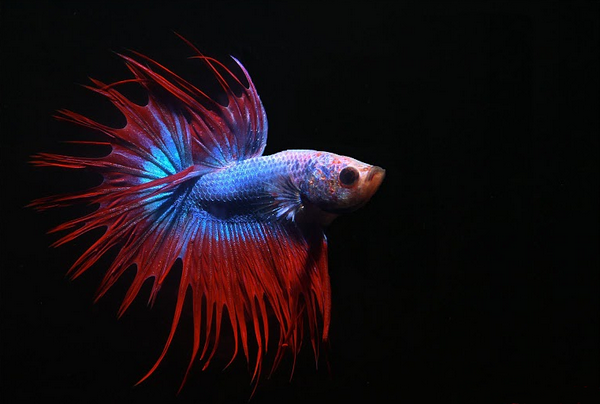 As the name suggests, Bettas can be aggressive and attack other tank inhabitants. 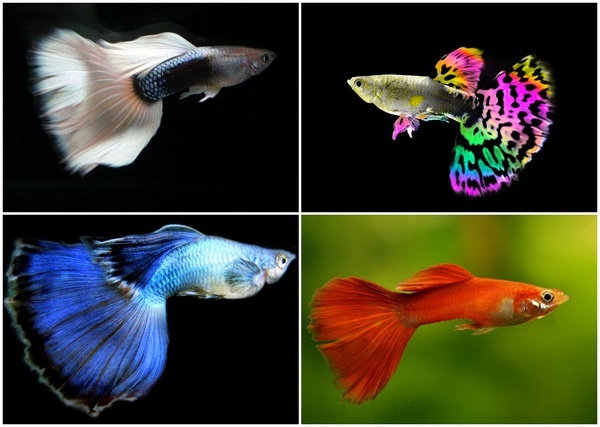 While female bettas can be grouped, male ones should be kept singly. 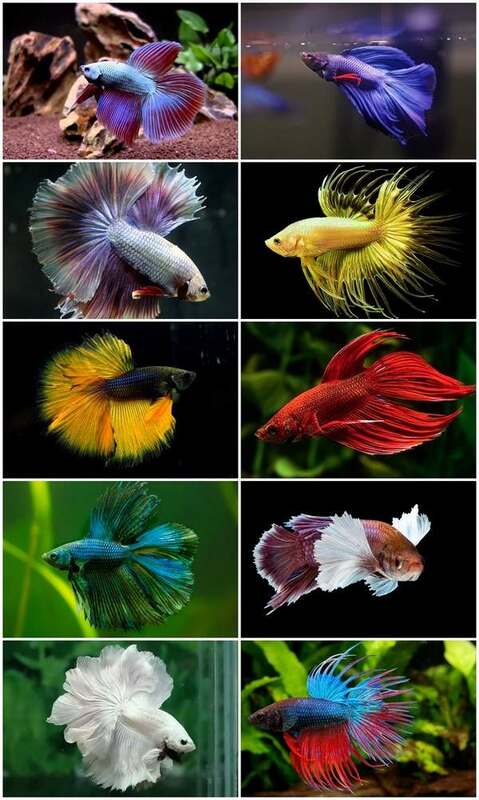 You can choose from different Betta fish varieties – Crown Tail Betta, Delta Tail Betta, Double Tail, Half Moon Tail, Comb tail Betta ,Rose Tail Betta, etc. 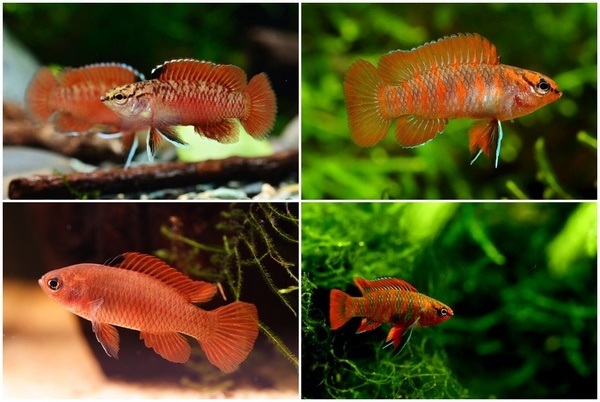 Scarlet badis (Dario dario) is the most popular one from the Dario varieties – species Dario huli, Dario kajal, Dario urops – and reaches a maximum size of 1-2 cm. Aquarium scarlet badis will eat both frozen and live foods, including microworms and you need to make sure they are well fed and not compete with tankmates for food. One thing to keep in mind is that you should keep one male with several females as males can be aggressive to each other. Indian Dwarf (Carinotetraodon travancoricus), also popular as Bumblebee, Malabar, or Pygmy Puffer are small and do not exceed 2 centimeters. It is golden-brown on the back with dark brown to black spots and males have a black stripe from the tail to the pectoral fin. 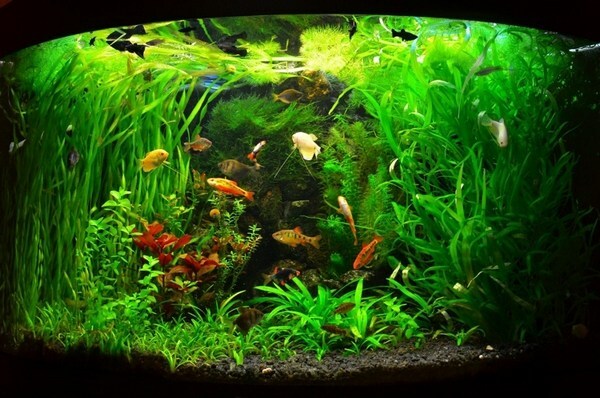 Indian Dwarfs will thrive in a planted aquarium which offers many hiding places. 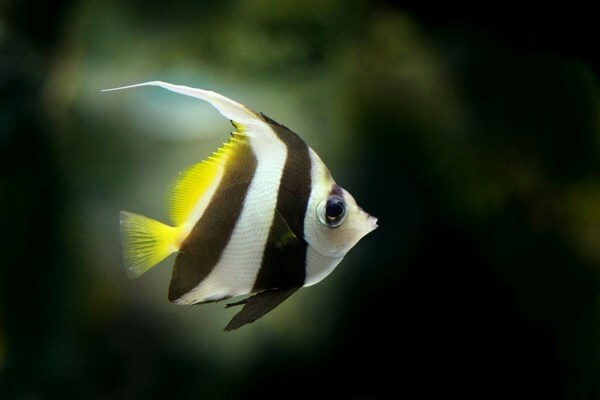 Like Darios, they are territorial and can be highly aggressive towards other tank inhabitants and only one male should be kept in the aquarium. Brine shrimp, mollusks and earthworms would be the best food and flake or pellet food must be avoided. Keep in mind that this type of fish needs 100% freshwater. 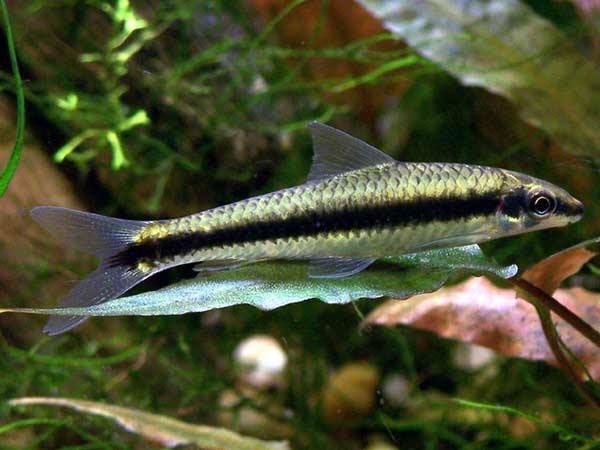 Endler’s Livebearer (Poecilia wingei), more popular as Endlers and accepted as a Guppi variety, are quite undemanding and hardy. They are an excellent choice for nano aquariums and beginners in aquascaping. Males have beautiful vibrant colors but since they are breeding very fast, it is advisable to keep a school of males. The maximum size of Endlers is about 2-3 cm and they are very active, always swimming and exploring the tank. Due to their small size, it is advisable that you crush larger food into small pieces before feeding them.